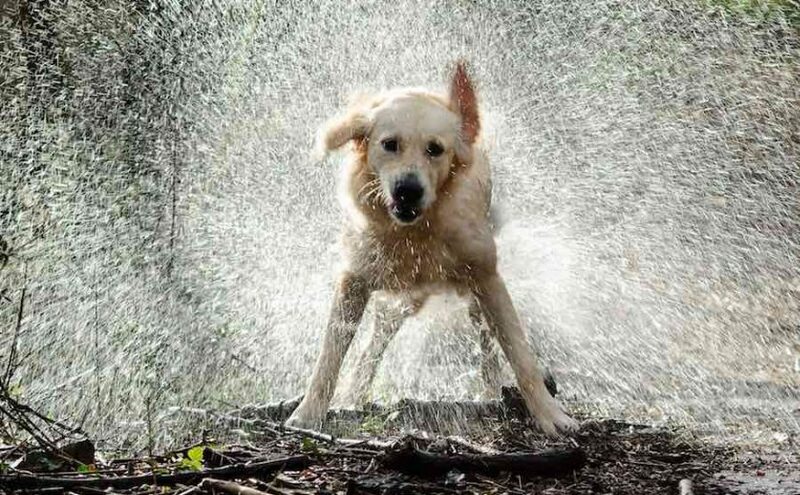 Goldador is a designer dog breed made by crossing the two most famous purebreds – Golden Retriever and Labrador Retriever mix. They are also known as Golden Labs. 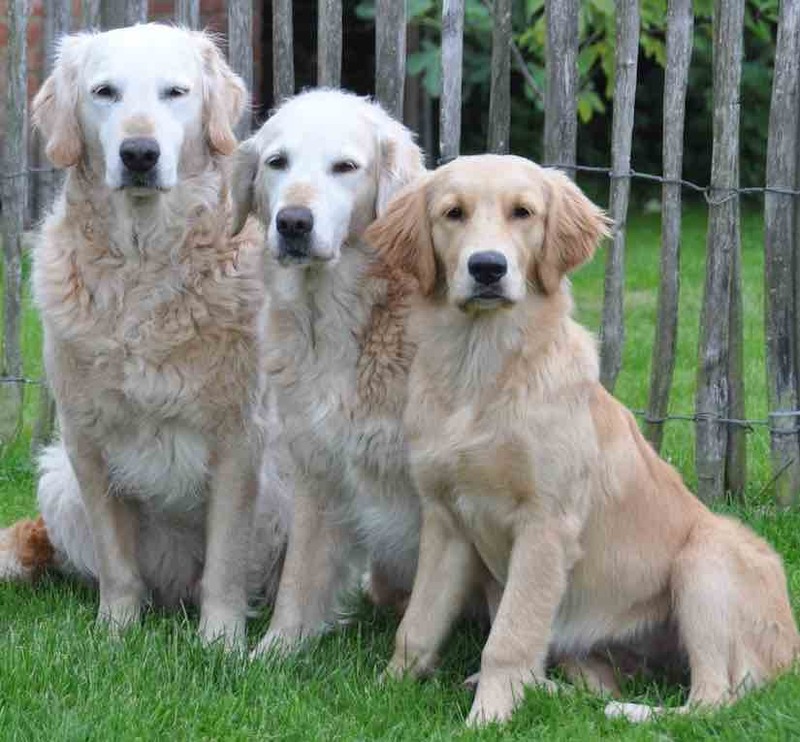 There are many types, generations (F1/F1b/F2/F2b/F3) of Goldadors. The best way to forecast the personality of your designer breed puppy is to look at the parents, their breed characteristics and know you can get any combination of any of the characteristics found in either parent’s breed type. Goldador Size. How big do Goldadors get? The Goldador is one of the few designer dogs with a predictable size, as both parent breeds are large dogs and similar in size and shape. The Goldador is usually 22 to 24 inches tall at the shoulder and weighs 60 to 80 pounds. The Goldador designer breed is an amazing family companion. They are obedient, playful, intelligent, well-mannered, great with kids, and kindly to strangers. They are ok as watchdogs, but not guard dogs as they love people far too much to be effective. Goldadors are always at the top of their obedience classes and love to obey commands. They love running, hiking, swimming, and playing fetch for hours on end and are extremely patient with children of all ages. Is the Goldador Hypoallergenic? Do Goldadors shed? Goldador is a shedding breed. Goldadors will shed a lot and need daily brushing. 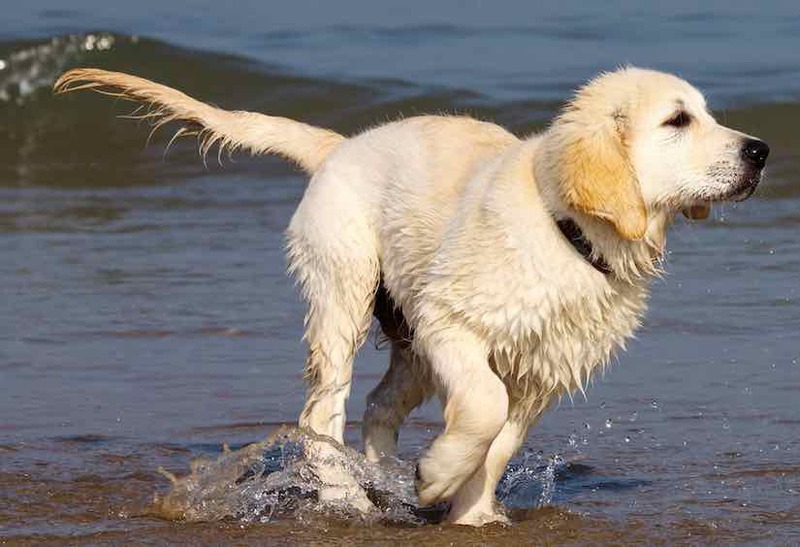 For Lab/Golden retriever mix non-shedding designer dogs, check out the Labradoodle and Goldendoodle breeds. What is an F1 Goldador? Do they shed? F1 Goldador is the first generation of hybrids bred from purebreds. Yes, they do shed. What is an F1b Goldador? Do they shed? The F1B hybrid is 75% Lab (one purebred Lab and an F1 Goldador as parents). All Goldadors shed. What is an F2/F2b Goldador? Do they shed? The second generation Yorkiepoo (F2 or F2B) is produced by crossing the (F1 X F1 = F2) hybrid or an (F1B X F1 = F2B) hybrid. All Goldadors shed. Most are fawn, some Goldadors may inherit the black color from black Labrador parents. Rarely dark brown. They do tend to get darker golden with age. Searching for physical confirmations will help you in picking up a good Goldador puppy. However, remember that this is a designer dog and a unique mix of characteristics can be observed in each designer breed. No two designer dogs are alike! Look for the following physical characteristics. General Appearance: That of a well-balanced retriever. Coat: Should have the same double coat as a Labrador Retriever, with a short, thick, straight topcoat and a soft, dense undercoat. Head: Broad in the skull, slightly arched laterally and longitudinally without prominence of frontal or occiput bones. Neck: Medium long, sloping well back into shoulders, giving sturdy muscular appearance with untrimmed natural ruff. Forequarters: Forequarters muscular well co-ordinated with hindquarters and capable of free movement. Body: Topline level from withers to croup, whether standing or moving. A well balanced, short coupled, deep through the heart. Hindquarters: Well bent stifles (angulation between femur and pelvis approximately 90 degrees) with hocks well let down. Legs straight when viewed from the rear. Tail: Well set on, neither too high nor too low, following a natural line of croup. Gait: When trotting, gait is free, smooth, powerful, and well coordinated.